It's warming up in Chicago, and while we're excited to put away our winter jackets, we're clinging to the precious last few nights of soup weather while we can! Soups and stews are such an easy way to pack lots of nutritious veggies, quinoa and rich flavors into a Meatless Monday (or any day) meal. 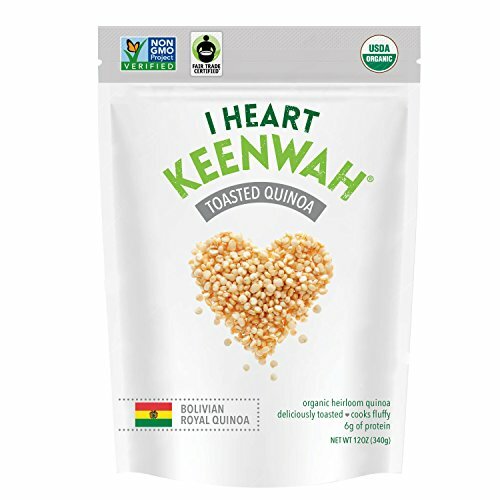 In this recipe, two local favorites team up - our Toasted Quinoa, and jackfruit from our friends at Upton's Naturals. Soak chiles de arbol and ancho chiles in 1 cup hot water for 15 minutes. Meanwhile, saute cumin, garlic onion and 1 Tbs olive oil on medium heat for 10 minutes, or until onions turn golden. Blend chiles, hot water, cumin, onion and garlic in a food processor into a smooth paste. In a medium saucepan, sauté Upton's Original Jackfruit in 1 Tbs olive oil for 5 minutes. Add Toasted Quinoa, veggie broth (or water), oregano, bay leaves, hominy, mushrooms, coconut sugar, chile paste (made above), wakame, miso paste and 1 Tbs olive oil, and bring to a boil. Simmer on medium heat for 45 minutes or until soup thickens. Discard wakame, mushrooms and bay leaves. Shred jackfruit prices with tongs to resemble pulled pork and add to pot. Add sea salt and the juice of 1/2 lime. Garnish with diced avocado, sliced radishes, cilantro (optional) and tortilla chips (optional).